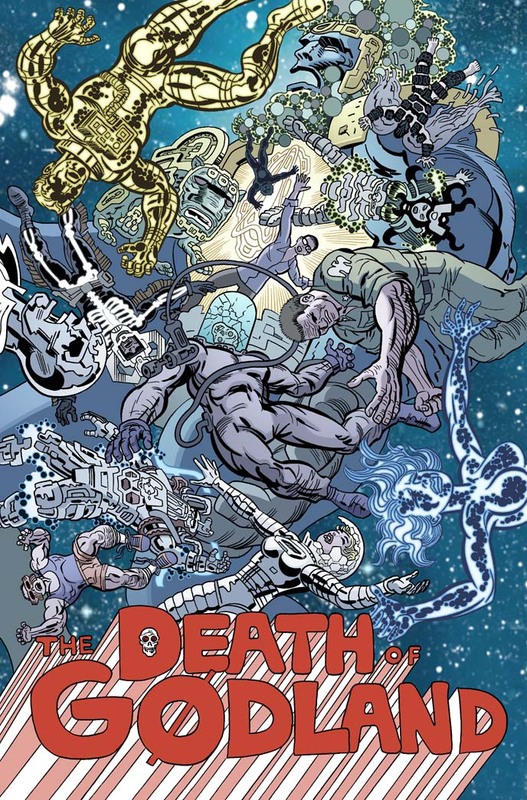 I wasn’t able to attend Comicon this year, but I had a piece of art in the 2010 Comicon Image Yearbook, entitled “The Death of Godland.” With the end of Godland drawing nearer I thought it would be funny to do a take-off on those Starlin cosmic “Death of ___” comics. Bill Crabtree did the coloring. 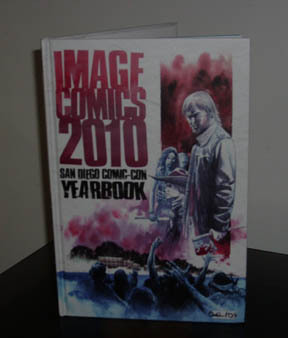 I donated the original art to the CBLDF auction at this year’s Comicon. Thanks to my pal Joe Casey for grabbing a couple of these books and sending them to me. There’s a lot of great art in there. Next up is something I’m really excited about. 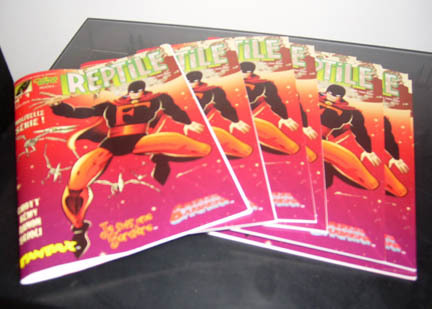 It’s the print debut of “American Barbarian.” It’s being serialized in France in Organic Comix “Reptile” magazine. 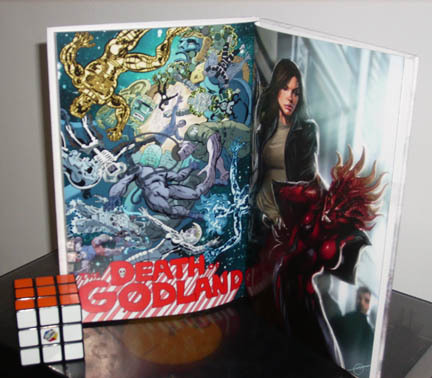 Organic publishes French-language versions of “The Myth of 8-Opus” and “Godland” in Strange Magazine. 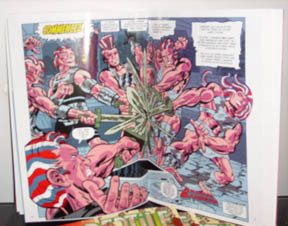 When I showed Reed Man, the Man behind Organic Comix, “American Barbarian” he jumped at the chance to publish it. They’re pretty huge Kirby fans over at Organic. 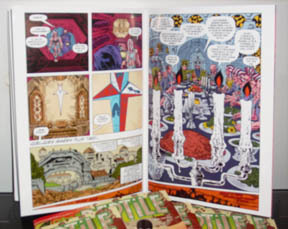 They publish French translations of actual Kirby stories in addition to my “fake Kirby” comics. I think Reed Man might be an even bigger Kirby fan than I am, if such a thing is possible.